In January of 2013, at the outset of my journey back to serious horsemanship, my mother had a wreck. This was the type of riding accident that you never want to witness. She was on Java, our 20+ Dutch Warmblood gelding, in a relaxed swinging trot when he blew sky high with absolutely no warning. My mother sat the first buck, but the second was her undoing. She came over his shoulder just as he turned, and was caught under his feet. More than thirty feet later, he finally cleared her and she came to rest on her back and unconscious. Most people would not give a 74 year old very good odds at coming out of such an experience very well. Through some miraculous combination of good genes and a life of drinking milk, my mother actually escaped any broken bones. A serious concussion led to paramedics and a night in the ICU – but by the next weekend she was asking to cool out my Nash. The night of the accident I spent several hours in the hospital. I found myself seriously questioning the decision to get back to serious riding. What were we trying to accomplish? Were we both just too old to be doing this? And, most importantly … why was this just not as much fun as it had been in the past? Horses are a dangerous prospect, by their very nature and size. The risk of serious injury varies, of course, with the horse, the human, the level of training each has and the activity they engage in. But the risk is very real. Yet, for decades I’d ridden horses and never wondered if it was too risky to continue. What had changed? I have enjoyed working with a wide variety of horses – from untamed Mustangs, to old ranch horses to well-bred Warmbloods. As a trainer, I feel that I should be flexible enough to work with any kind of horse, and that a failure in the horse is a failure in me. But, there is a difference between spending time working with a horse, and actually living with it day in and day out. In my sense of duty to the horses in my care, I’d lost sight of something I’d often told my students – not every horse and rider is a match! At the time of the accident we had a lame Thoroughbred who is a nice horse, but every moment with him is hard work – relaxation is never an option. There was Java – my mother and I raised him, but after more than two decades neither of us could say that we felt bonded to him. 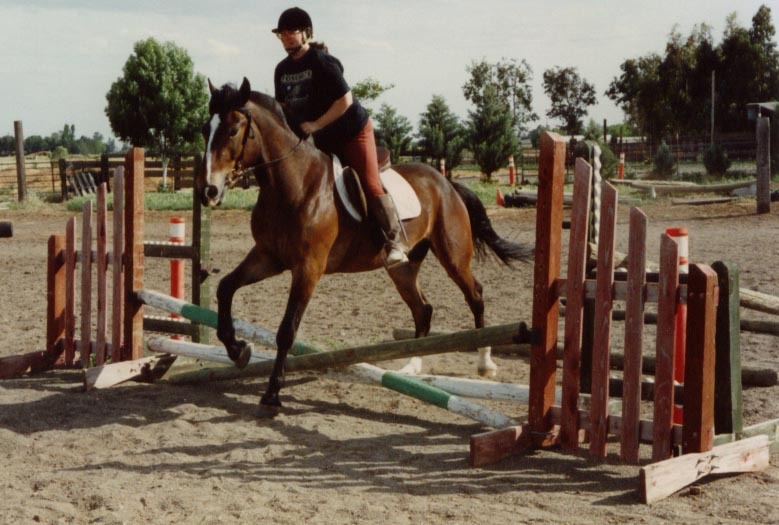 My mare, Tally, was at a stage where I could not honestly say that I would ever trust her. That left Nash, my older Appaloosa gelding – we had a great partnership, but he’d come to us from a background that had left him mentally and physically damaged. He was a lot of fun, but there were some things that he would never be able to do. Not one in the bunch was trail safe, and none could jump – the fun things we’d always done to keep us all fresh and happy. We needed to get back to being able to just have fun, at least some of the time! Making changes in the herd suddenly seemed the obvious solution – but was I just taking the easy way out, like so many people I’d known who regularly cycled through horses? I recently heard Charles de Kunffy compare the horse and rider partnership to a marriage – in fact, he said it can be closer than a marriage. In many ways I think he is right – at it’s height, the trust, affection and communication would be tough to rival in any relationship. Is it so unreasonable to think that the match matters? Would you trust your life to every person you’ve ever met? So, from that night in the hospital emerged a mission to make sure that we had the right partners. Java was immediately retired – neither of us had a desire to ride him. I then set out to find a horse for my mother, resulting in the acquisition of Coffee (although she would not admit that he was for her, until he’d been here six months and she’d fallen madly in love with him). I steeled myself for selling Tally, if we could not make a compatible team (we have since been through many trials together, but in the process she has become a forever horse). And, in a twist no one saw coming, I acquired Noble, destined to be a “horse of a lifetime”. 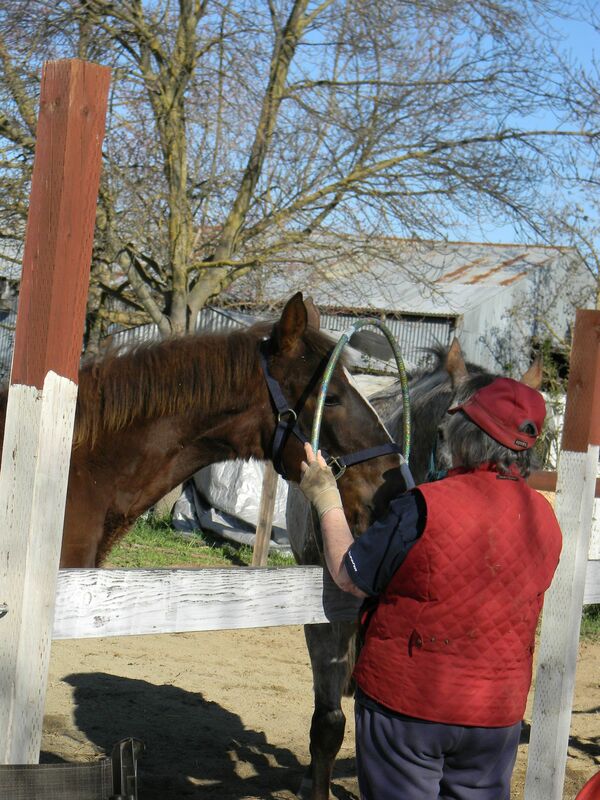 We ended 2013 with too many horses – but one is retired and another will hopefully find a loving home soon. We are both madly in love with the other four – they make us smile every time we walk in the barn. Working with them, I have rediscovered the pure joy I once felt. Tally, Nash, Coffee and Noble are the reasons why I am horse crazy once again! I am a strong advocate for taking responsibility for your horse, and they are certainly not equipment to be replaced frequently. But take it from me … if you don’t love the one you’re with, don’t torment yourself and them. It’s in everyone’s best interest to find them a better match, and find yourself a horse that makes your heart sing! This entry was posted in My Journey and tagged horse and rider partnership, horse crazy, riding horses, training horses. Bookmark the permalink.